26 Mar Tools Coverage? You Need It! This is Insurance talk. Now, once again, here are your hosts, Cheri Martinen and Rex Lesueur Contractor’s tool insurance coverage. This is a coverage we wish more contractors purchase because we get the questions after the fact all the time. The story goes like this. If your tools are in a trailer or back of your vehicle, or even in the shop at home and then they’re gone, stolen,or someone thought it would be fun to vandalize your work trailer and break into your tools and wreck all of them. Ripped from the headlines. You are listening to insurance talk with Rex Lesueur and Cheri Martinen, the father, daughter, team for Bancorp insurance. We specialize in insuring contractors, which is why we hate it when we get one of these calls from a customer. Did I buy that tool insurance coverage you told me about last year? A lot of the times the answer’s no. Rex this is a really common one. The insurance the state of Oregon has you buy to go into business does not cover your tools. A lot of contractors go into business and the state of Oregon requires them to have general liability and a bond. They think that they’re good to go, and they are. They can go to work and go out and work as a contractor doing whatever their specialty is. Well, every contractor I know now, almost every contractor I know right now has tools. These can be small, they can be like hand tools, power tools to bigger tools. And if you’re the kind of contractor who does a lot of different things; okay I’m going to talk about myself here a little bit. I love tools. Every Christmas my family gets me a tool of some kind, okay I’m some kind of a tool whore. okay. I get that. You have like two or three, like I think one in your trailer, you’ve got like a set of tools for the RV, and then you have a set of tools in the back of the car, in the boat. Yeah. Then a set in the shop. Yeah, of course I’ve got two sets in the shop because I buy used tools at yard sales all the time. But what happens is, tools, contractor tools are not covered under the policy you are required to buy by the state of State of Oregon. Oregon makes you have a liability policy so that if you were to injure somebody while you were working or damage their property, that it is covered. The State of Oregon makes you have a bond, for various, financial reasons. That’s it. But if you take your tools, and you get them really organized, because my tools are really organized, and if I was a contractor, I would have this really neat trailer and I would drag it everywhere I go, and I would take it and I would leave it…. You’d have your name on this side. My name on the side, and this is really cool. This is, this is part of who I am. This is part of my identity. I’m a contractor and I have a tool trailer. Which is cool. I mean, I’m not, please, anybody listening to this. This is a small dream for Rex. Yes this is a small dream for me. But what people will do is they will take that trailer or their pickup or what have you. They’ll leave those tools at the job site and sometimes they’ll lock the trailer and do their due diligence. Oh yeah, they locked the trailer. They, put a little block on the tongue so that people can’t, you know, just pull up to it and drive away. I can’t tell you how often a contractor will call us up and say, my tools were stolen. They all go into the job site. If they’re in a big steel box at the job site. I’ve honestly seen them where they’ve taken those big steel boxes and they’ve chained them to a wooden post in the building, that’s not done yet. And we’ll get there and someone will have taken a sawzall and cut the post and politely removed the chain taking the box and everything off with them. I don’t know how they pick it up, but you know, there’s obviously more than one of them. We’ve seen people that have taken bolt cutters and cut the lock either on the back of the trailer and taking the tools out of the trailer. Or what’s even more common is they’ll just cut the lock off the tongue of the trailer and take the whole trailer and it’s completely gone. Your tools are not covered under your homeowners, or your general liability policy. Now you’ve got all your tools and your trailer. They’re gone. That’s how you make your living. You’re going to have to go out and buy them all again and they’re not covered under your homeowners. 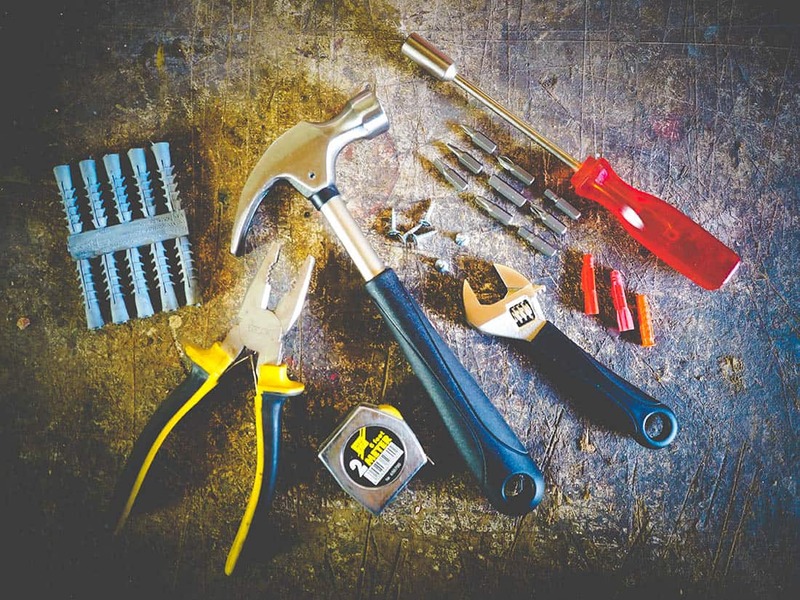 Unless you tell your agent that you want to insure your tools, then you are not going to have any coverage and you’re gonna have to go down to, wherever you buy them, and buy them again. You’d be surprised. I mean, you think of all the stuff in there. Well, you got hammers, got saws, you’ve got little things that just are important to you. You have extension cords, all of this stuff. Contractors go get the good stuff because they need to, and it’s expensive. You could have $15,000 in this trailer. One of the other claims that we’ve had in the past was, we had a guy going down the road, and he didn’t have a trailer. He just had a pickup. He got into an accident, actually, it was a very very, slick day and he lost control. He hit the concrete, in center of the highway. He started spinning around, and the tailgate opened up and it was like broadcasting tools as he spun around on the highway,as he spun,and spun. Then he hit the barrier again and then that loosened more of them and the next thing you know, they’re all over the place. This contractor is out there, in a snow storm, icy as other drivers driving down the road, trying to pick his tools up off of Highway 97, to get them back in so that he would not lose them. And obviously he lost most of them. Those tools are not covered under your homeowners policy. They are your business and you need to have them covered specialty. I think one of the better things about this is like you said, um, you don’t think about one tool loss. Do you think, you know, I don’t need it, but this took over. It isn’t super expensive either and it’s not expensive. Typically it has a $500.00 deductible so that if you know, you lose two you’re not filing a claim. That’s when you lose. Yeah. Well and that’s where when we’re talking about insurance isn’t for, you know, every single thing that goes on insurances,for the catastrophes that are going to change your life financially and I don’t care what kind of contractor you are, but most of them, if they lose all of their tools, that’s a financial hit and that’s something that they should be looking at. It should be covered. Well if you have any questions about todays topic please call us at 800-452-6826. If you have a burning insurance question you like us to answer. Email us at bancorp@bancorpinsurance. com. 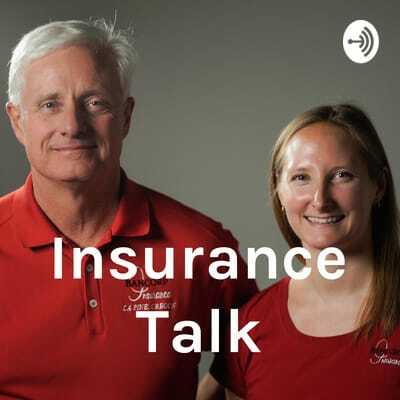 You can listen to this episode of Insurance Talk and more on our website at bancorp@bancorpinsurance.com or from your favorite podcasting service.